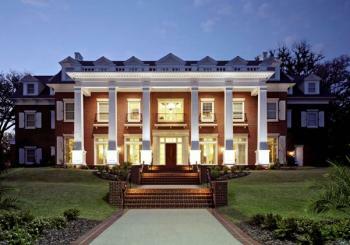 Alpha Epsilon Pi - ΑΕΠ Fraternity at University of Virginia - UVA 1.7 Low Feb 21, 2019 3:48:14 PM My friend and I had to go through a bad experience with an older brother at one of their parties. I previously had a great deal of respect for these guys but I lost it that night. My friend and I had to go through a bad experience with an older brother at one of their parties. I previously had a great deal of respect for these guys but I lost it that night. Alpha Epsilon Pi - ΑΕΠ Fraternity at University of Virginia - UVA 4.9 Heather Jan 15, 2019 9:24:48 AM Best Frat I've been to first year. Most fun and least predatory. Best Frat I've been to first year. Most fun and least predatory. Alpha Epsilon Pi - ΑΕΠ Fraternity at University of Virginia - UVA 4.9 go hoos Nov 11, 2018 12:43:23 PM Definitely upper middle tier. Their parties are getting bigger and better. These are some of the nicest guys you will meet at UVA, and they know how to have a good time. They mix with a lot of different sororities very often. Definitely upper middle tier. Their parties are getting bigger and better. These are some of the nicest guys you will meet at UVA, and they know how to have a good time. They mix with a lot of different sororities very often.